Agnes Obel at Le Poisson Rouge, New York, NY, 3/11/2017. This Monday will mark the last day of Winter, but a brisk, majestic chill will always run through Agnes Obel’s music. The Danish singer/songwriter has infused her last three LPs with elegiac piano and winding melodies, all heightened by her crystalline soprano. Paste recorded Obel at The Cutting Room last December, where she played tracks from last October’s experimental, synth-laced Citizen of Glass. She returned to the Big Apple last Saturday for a packed performance at Le Poisson Rouge. Paste photographer Drew Reynolds captured Obel’s soundcheck, appropriately rendered in grainy, regal monochrome in the gallery above. 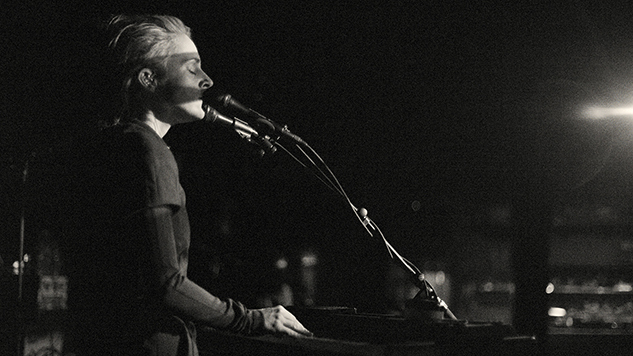 Agnes Obel is currently playing SXSW in Austin before touring the US through March. She starts the European leg of her tour in May.